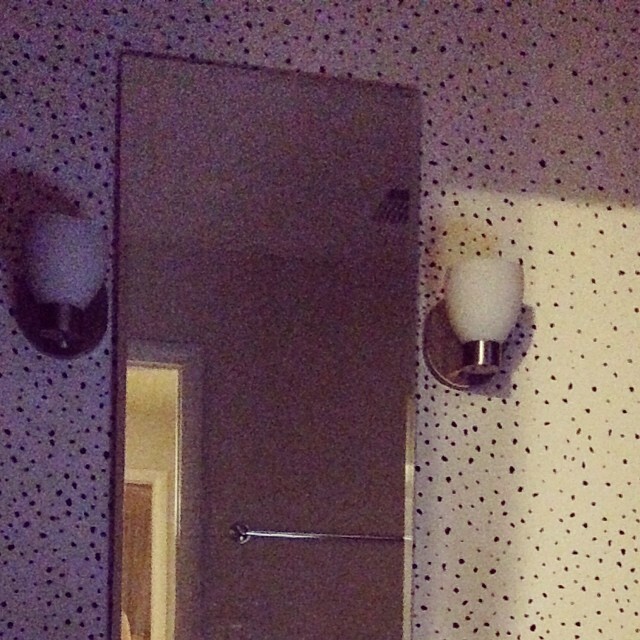 My bathroom just underwent a dalmatian transformation! 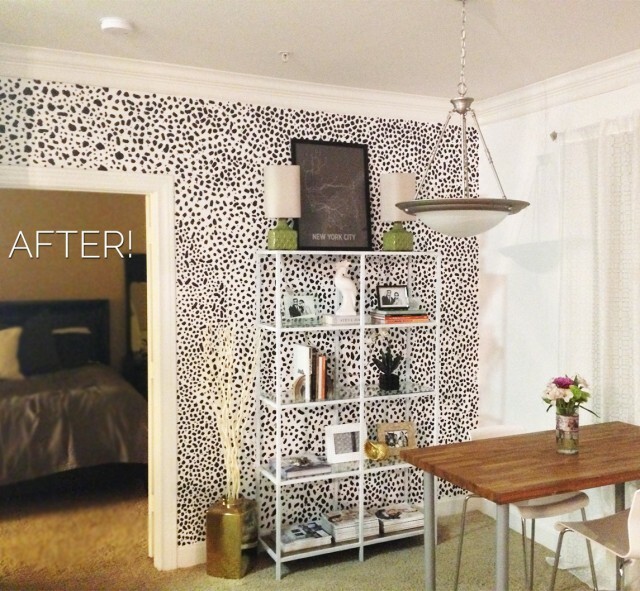 I talked about wanting a dalmatian rug for my living room in a previous post after being inspired by this office. Well, I switched gears and decided my bathroom walls would be the perfect place for the print. The next step was the hunt for the tutorial. 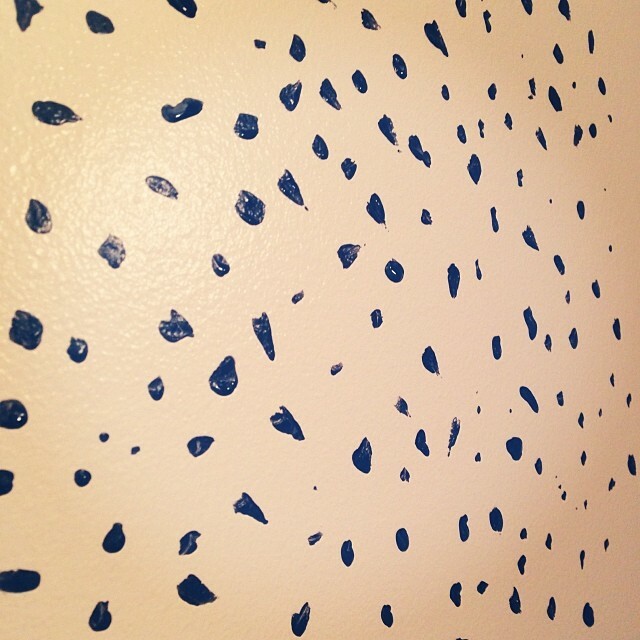 It turns out this is wallpaper, but two bloggers had a DIYed version. 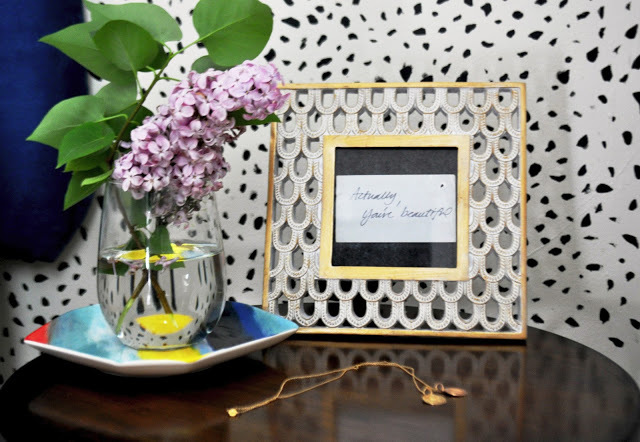 First, I came across this tutorial from Lauren at Make it a Double blog. I love it so much! 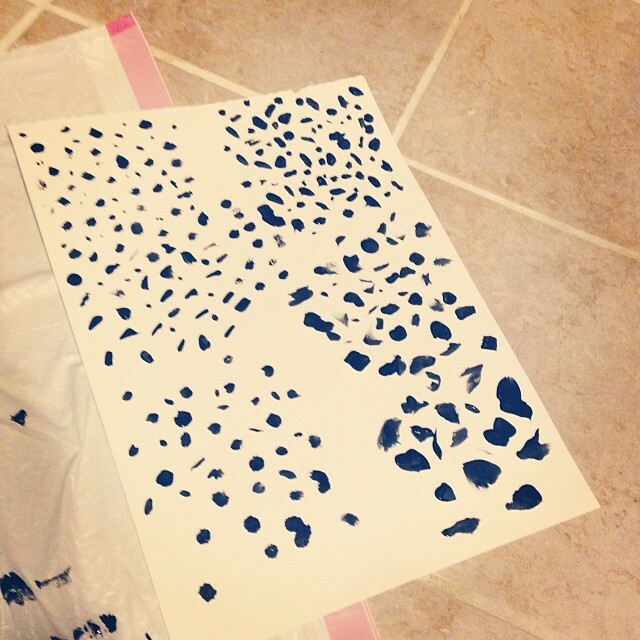 Lauren’s post led me to Chrisann at Ducklings in a Row blog, who talks through how she stenciled her way through the project for less than $30 here. Check out how gorgeous it turned out! I decided to go with Lauren’s strategy. I was eager to jump right into it AND I don’t have an exacto knife/Martha Stewart stencil paper. 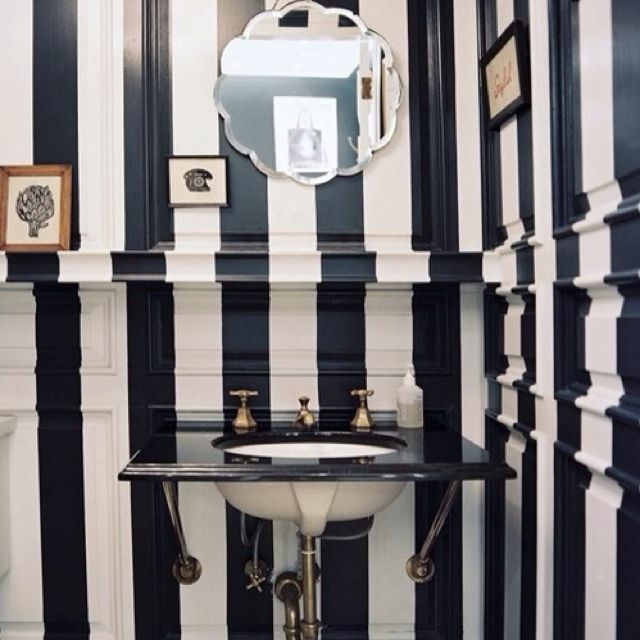 I already had black paint that I purchased when I originally wanted to paint vertical stripes like this. (I didn’t end up going through with it because I was too nervous about the precision it required.) I also had some brushes so I didn’t even need to go out and buy anything for this project. I practiced the dots first on a sheet of paper. I was looking at a bunch of dalmatian prints in Google images and trying to mimic my favorites. Then, I started out with the safest wall. This little section of wall is behind the door and hardly visible so there was less a stake if I messed up. Once I got the hang of it and liked how the spots were turning out, I went for it. I used a small-ish brush and made straight on strokes and also pressed the brush against the wall on it’s side so I could get uneven looking spots. Here’s a quick video so you can see. 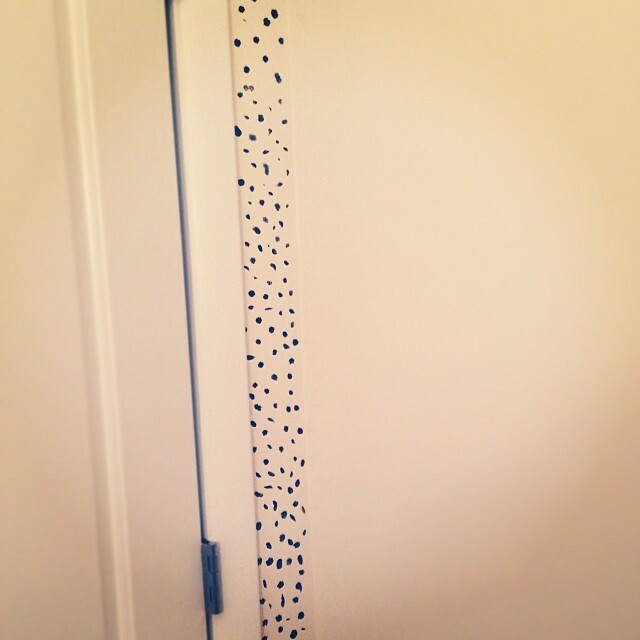 Look at these spots! I’m so happy with how they turned out. Here’s a progress pic from when I was just about done. This has been a night time project so the photo is a little dark. 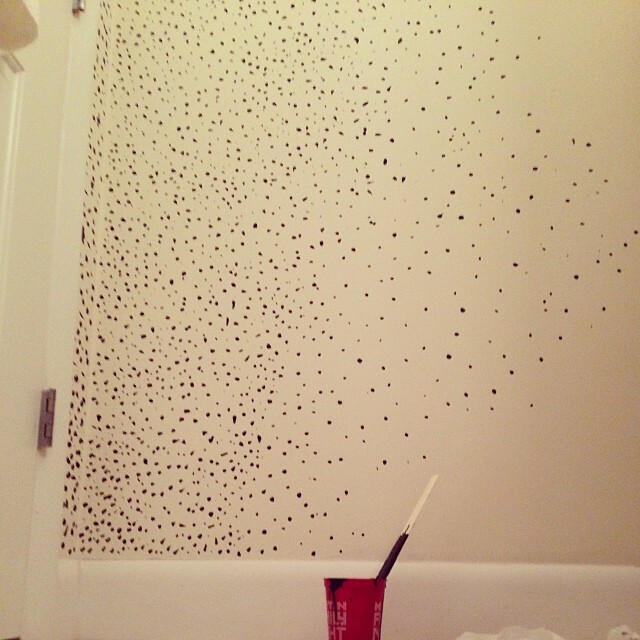 And I finished all the spots! I’d say the whole thing took about 6 hours. This project has been so spontaneous and fun. It’s still in progress – I’m going to add shelves and possibly change out the light fixtures/mirror but I’m excited about it so far! Stay tuned for the “after” shots! Have You Heard? 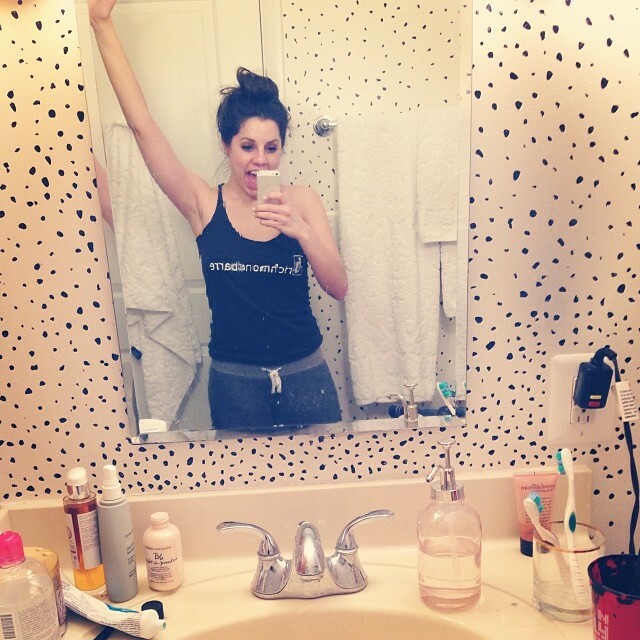 Leopard Print Is The New Black.